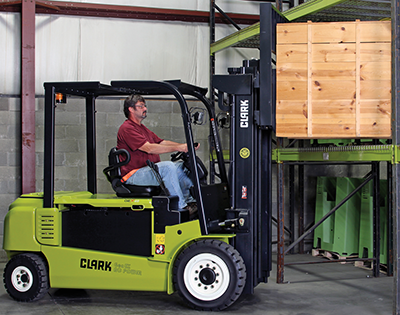 This 4-wheel lift truck can do the heavy lifting with its strong drive motors and axles that make this a durable, powerful lift truck. The solid pneumatic tires are suited for indoor and moderate outdoor environments for the high capacity applications found in manufacturing, warehousing, lumber and block industries. Each lift truck comes with programmable safety and performance features to fit your exact needs. This battery can manage a 72 kwh battery. There are 4 pre-set options to choose from.